If you’re organization is considering a switch to Linux, it’s important to get the most value out of your migration. 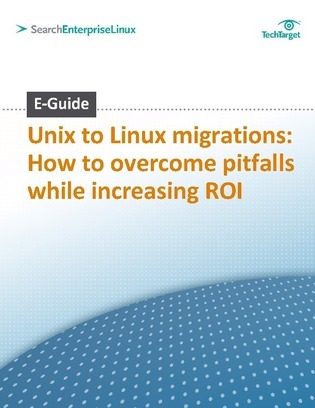 This expert e-guide presents top considerations for making the switch and how you can evaluate the potential ROI of a UNIX to Linux migration. Learn how to overcome common migration pitfalls and achieve benefits like elimination of yearly licensing fees, easier updates and more.